KERACELL® Invigorating Shampoo gently cleanses the scalp and hair while restoring and maintaining the proper moisture balance. MHCsc™ Stem Cell Technology, Peptides, and Red Clover and Baikal Skullcap help to stimulate keratinocytes for renewed hair growth. new hair as it grows. 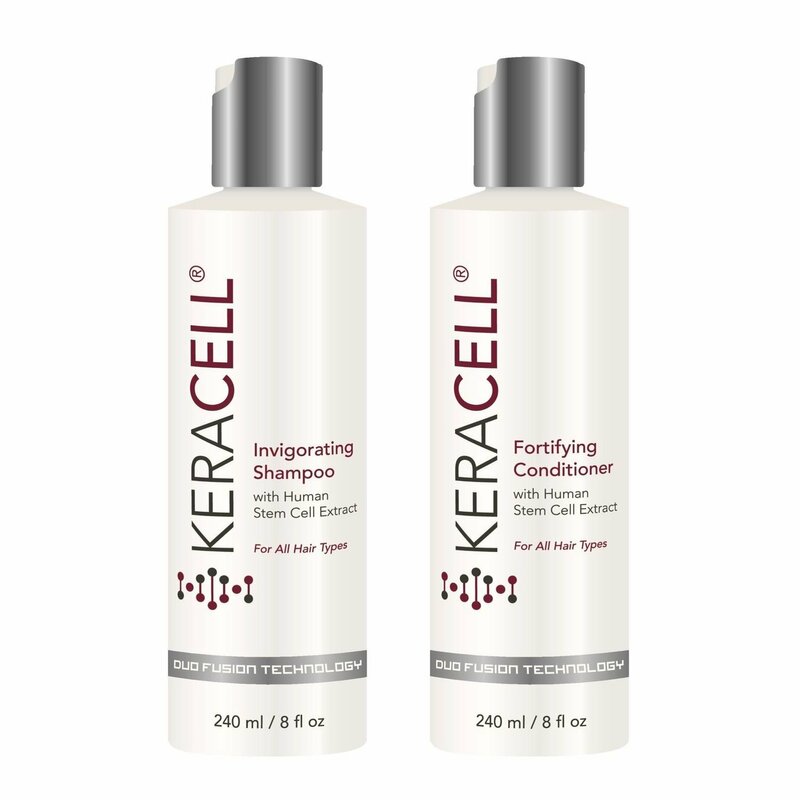 KERACELL® Fortifying Conditioner with MHCsc™ Stem Cell Technology was designed to complement the KERACELL® Invigorating Shampoo. proteins to help seal the cuticle and add shine for more luxurious, healthy-shiny hair. Ideal for fine and thinning hair, and will not weigh hair down.